When it comes to industrial safety, all of us understand the importance of wearing a hard hat, protective gloves or steel toe-capped boots. In fact, most employers wouldn’t dream of letting their teams on-site without adequate protection, and workers themselves are more than clued up when it comes to the latest safety requirements. However, the same can’t be said when it comes to the potentially fatal risk posed by arc flash – a relatively misunderstood, but extremely common type of electrical explosion facing sectors from industrial electrical, to utilities, civil engineering and rail. Personal Protective Equipment (PPE) is a last line of defence for workers, however ill-fitting clothing compromises this protection, leaving workers exposed and vulnerable, an issue that is most prominent amongst females working in industry. 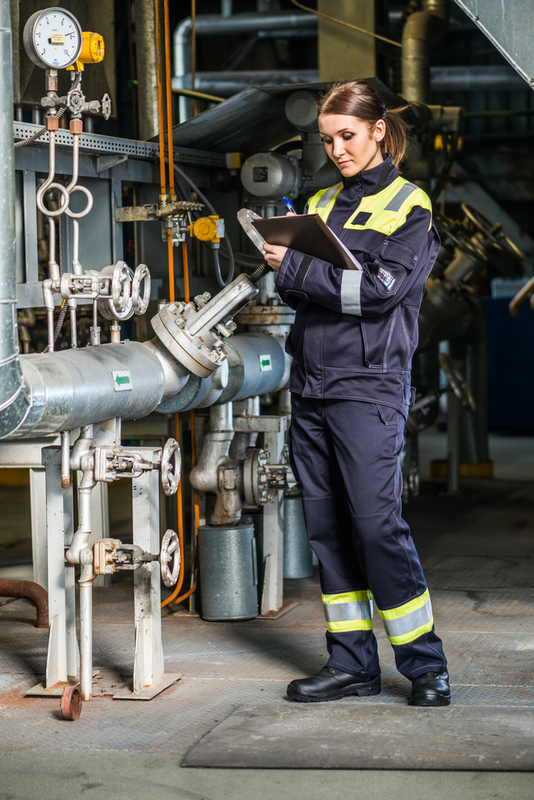 The universal fit of safety garments combined with increasingly mixed gender workforces across all industries is posing a great risk to female workers, due to protective clothing that is not tailored to their size and shape. Many women are often faced with wearing either unisex or men’s jackets, which are sizes too big and not suitably fitted, making them bulky and often uncomfortable to wear. While many may not realise it, these ill-fitting clothes hugely impact the level of protection provided against an arc flash strike. Uncomfortable and baggy jackets make it all too easy and tempting to roll up the sleeves or unfasten the jacket, which leaves areas of the body unprotected against arc flash. Keeping workers safe has to be a number one objective. Those looking to address the issue of protective clothing for women should look to specially designed arc flash protection designed for women. This will enhance the protection against the often life changing injuries sustained during an arc flash incident. However, whilst PPE garments designed for women can feature the benefits of smaller sizes and better fitting garments – allowing your workforce to carry out their jobs without compromising on comfort or safety – it’s also paramount that selected garments meet, if not exceed, the relevant industry and EN standards, ensuring protection from arc flash incidents. And it’s not just jackets, overalls and trousers that need to be considered. Women may also require arc resistant underwear to provide further protection should an incident occur. This is due to the fact that everyday manufacturing materials can melt into skin even under PPE clothing, potentially causing severe burns and skin infections. Wearing arc flash protective base layers underneath your outer layers increases the level of protection by combining the calorific values of a base layer and an outer layer. When searching for appropriate arc flash PPE for women, we recommend that safety experts keep their eyes peeled for the SafetyICON marking, which allows workers to see what type of protection they offer, as well as ThermSAFE components, which have been safety approved and tested to withstand an arc flash incident. Additionally, the VXS+ fabrics used in protective garments are important as they’re 100% inherent, providing durable flame resistant protection that won’t wash out. Whilst we’ve already established that comfort is important, garments also need to be extremely durable. Try to opt for a supplier that guarantees longevity, with added extras such as ThermSAFE durable fastenings, meaning that every stitch, button, popper and press-stud is flame resistant to provide enhanced and effective arc flash protection. The seriousness of arc flash is something that can be overlooked in day-to-day industry tasks, but it comes down to the individual to ensure they are fully protected against this life-threatening hazard. As part of an ongoing commitment to safety and industry innovation, safety experts need to consider how to work around the problems workers on the ground can encounter with arc flash protective clothing. In this case, it’s clear that the main issue when it comes to arc flash PPE for women is the need to introduce a more tailored fit and smaller sizes to increase the wear-ability of the safety garments, without compromising on its ability to protect.